Md. Abdur Rahim: Mr. Rahim has a track record of different entrepreneur businesses and provides direction to overall 5R3M business directions. He is the chairman of the board of directors of all 5R3M Business. Dr. Rafiqul Islam: Dr. Rafiq, son of Mr. Rahim, completed his PhD, MS from Arizona State University (USA) and BS in Chemical Engineering from BUET. currently he is working at Intel Corporation, USA. Mr. Sharfuddin Ahmed, Managing Director of 5R3M Power, is a BUET graduate and a certified ISO 9000 Quality Management System Lead Auditor. He has over 31 years of service, spent 20 years in inspection and testing diesel/gas power and in carrying out various manufacturing plant quality management system appraisals in a British Company called Crown Agents. Rokhsana Ruku: Ruku, daughter of Mr. Rahim, completed her MS and fashion design degree from Santo-Mariam creative University. She has experience in working renowned fashion and Interior design house including Shada-kalo, Chief designer of M-CRAFT fashion in Dhaka. She is directing 5R3M fashion business. 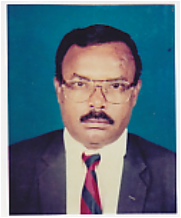 Abdur Rahman: Mr. Rahman, son of Mr. Rahim, completed his BS, MBA in Marketing. He has extensive experience on banking sectors. He is director of Sales and finance of 5R3M businesses. Rokibul Islam: Mr. Rokibul, Son of Mr. Rahim is Director of 5R3M Power business. He has experience in solar sectors and other renewable energy products.